In this day and age, a majority of Knoxville home searches start online. To be more specific, 90% of home buyer searched online during their home buying process, according to a joint study from Google and the National Association of Realtors. With that statistic in mind, it is obviously very important that your Knoxville home gets the proper online exposure. So, how can you ensure this happens? First, it is important to keep in mind that not all Realtors are created equal. Just because your friend of a friend knows someone who is a Realtor, doesn’t mean you should be tied into using that person. While he or she may be a great Knoxville agent, without further research, there is no guarantees that he or she has a marketing campaign to help give your Knoxville home the online exposure that it needs. Prior to hiring a Knoxville agent to list your home, it is important that you do some research of your own. You want the very best agent to sell your home. You want someone who will help you sell it quickly and for the best possible price. How Can Your Find The Right Realtor For You? Any referrals you get from friends or family members should be researched online. In this day and age, people often feel motivated to share their opinions online. Be sure to take a look at a realtor’s reviews on Facebook, Google, Yelp, Trulia or Zillow. It can help to see what other clients have to say about an agent. It can also help give you a better feel for what the agent is like. Just bare in mind, there are always those reviews that can be blown out of portion. 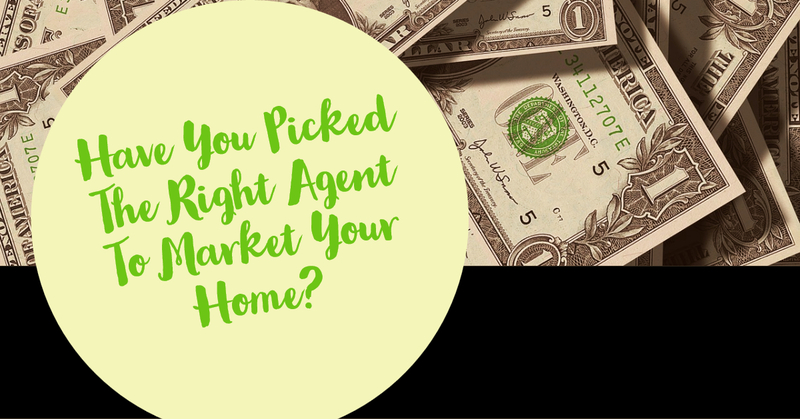 What About Finding The Right Agent To Market Your Home? With the power of Google, it is pretty easy to separate out those who do have a strong online presence from those who don’t. To do better research, consider what specifically buyers would be searching for it they were looking for your home. Would they be looking for things like waterfront communities in Knoxville? Neighborhoods close to downtown? Knoxville homes for sale in a specific area? Think of the terms that represent your home and see what agents come up. This will help you find an agent who specializes in your area. Agents who specialize in your are most likely have a good web presence for the area they specialize in. Finally, See Who Is A Good Fit. Once you narrow your list of Knoxville realtors down, sit down with the one or two agents that seem like they’re the best fit. When you sit down with them, don’t be afraid to ask how they plan to market your Knoxville home for sale and what strategies that have worked for them in the past. Don’t hesitate to ask for examples of homes that they currently have listed or to see how they are currently marketing other Knoxville homes for sale. Are you thinking about selling your Knoxville home this year? Please let Knoxville Home Team know if there is anyway we can assist you in selling your Knoxville home. Rick can be contacted at 865-696-9002 or via email at Rick@KnoxvilleHomeTeam.Com. Kati can be contacted at 865-696-1888 or via email at Kati@KnoxvilleHomeTeam.Com. Contact us today for your FREE Knoxville Home Valuation.